Chuck Liddell is the epitome of what it means to be a UFC fighter. “The Iceman” reigned as UFC light heavyweight champion from 2005 to 2007, helping thrust the sport in the mainstream as the UFC’s flagship star during the boom period. In a 12-year career he defeated the likes of Jeff Monson, Kevin Randleman, Vitor Belfort, Randy Couture (twice), Tito Ortiz (twice) and Alistair Overeem. His last great performance came at UFC 79 in December 2007, where he outfought Wanderlei Silva in the fight of the year. 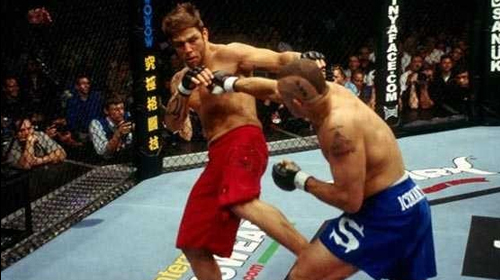 The Iceman’s record for the most knockouts – 10 – in UFC history still stands today. Hall of Fame Induction: Chuck Liddell Jul 11, 2009 (8:40) Watch the induction ceremony of Chuck Liddell into the UFC Hall of Fame. Chuck Liddell vs Wanderlei Silva UFC 79 Dec 29, 2007 (9:09) Two of the biggest names in MMA collided at UFC® 79 as Chuck Liddell and Wanderlei Silva finally squared off. 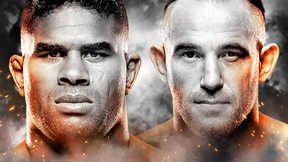 Both fighters were coming off of back-to-back losses and both wanted to get back into the chase for the 205lb title. Chuck Liddell vs Tito Ortiz UFC 66 Dec 30, 2006 (10:47) One of the most anticipated rematches in UFC® history didn’t disappoint when Chuck Liddell and Tito Ortiz squared off at UFC® 66 with the light heavyweight belt on the line. Chuck Liddell vs Randy Couture UFC 57 Apr 4, 2006 (2:43) Chuck Liddell and Randy Couture battled it out for the third and final time with the UFC® Light Heavyweight Title on the line. Chuck Liddell vs Jeremy Horn UFC 54 Aug 20, 2005 (6:57) The first time they met in the Octagon™, Horn walked away with the win. This time, Liddell came back with a whole lot of new experience and training to show the world the champion he would become. Chuck Liddell vs Randy Couture UFC 52 Apr 16, 2005 (18:44) The Ice Age begins! Chuck “The Iceman” Liddell finally annexed the UFC light heavyweight title, stunning the defending champ Randy “The Natural” Couture in this main event of UFC 52. Liddell’s world title ambitions had been cruelly derailed by Couture three years previously, but this time the Iceman would not be denied. Chuck Liddell vs Vernon White UFC 49 Aug 21, 2004 (16:02) Chuck 'The Iceman' Liddell earned another title shot at Randy Couture with an exciting first round stoppage of a game Vernon White at UFC® 49. White continually battled back from concussive blows in that opening frame to give to Liddell as good as he got, only to be sent to defeat with a big right hand that ended matters conclusively. 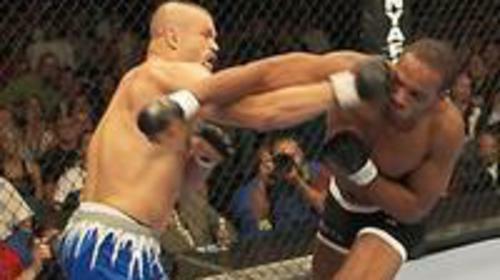 Chuck Liddell vs Tito Ortiz UFC 47 Apr 2, 2004 (3:33) It was the grudge match to end all grudge matches. A packed house saw Chuck Liddell and Tito Ortiz finally get it on in the main event of UFC 47 after months of Tito avoiding to sign the fight. Yet after only five minutes and 38 seconds, it was 'The Iceman' who was left standing, as he emphatically stopped the former light heavyweight champion in the second round. Chuck Liddell vs Renato Sobral UFC 40 Nov 22, 2002 (12:25) Chuck Liddell was widely considered to be one of the most talented fighters in the UFC, and he proved that he had a warrior's heart in addition to an elite skill set when he battled Brazilian star Renato 'Babalu' Sobral at UFC® 40.